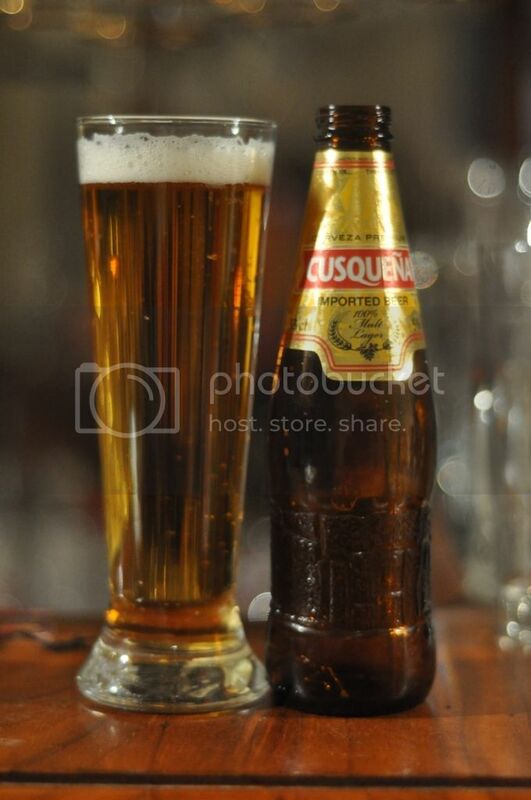 Today I'm bringing you a lager from South America; Colombia to be exact. It's made by Cerveceria Bavaria, which was acquired by SAB Miller in 2005. Before the merger Cerveceria Bavaria was the second largest brewery in South America and it's parent company in the top 10 beer producers world wide! If I'm being honest, those numbers surprised me. Colombia isn't known for it's beer, it's far more known for cocaine production. I was surprised to read that Colombia hasn't been the world's largest cocaine producer since the early 2000's - shows how reputations stick... Club Colombia is not the brewery's flagship beer; that honour belongs to Aguila. I've never seen Colombian beer in Australia, although I have heard that Aguila is available at a few restaurants. Anyway onto one of the beers that keep their almost 50 million strong population happy. The beer pours a deep golden colour with a small, one finger, head of white foam. I was really impressed by the colour of the lager, it's not that light yellow colour that so many cheap lagers are. The head is very short lived, probably lasting under a minute. It left not a trace of lacing behind, this is not necessarily a bad thing but aesthetically I do like so lacing. Onto the nose and it's actually quite strong for a lager. There's a good grain aroma, which is both sweet and not sweet at the same time. I can smell hops! They don't smell particularly bitter, but they are definitely there and there's some floral and citrus elements. There is also some sweet almost fruitiness that I can't place as well, which will hopefully become more apparent when I taste it! 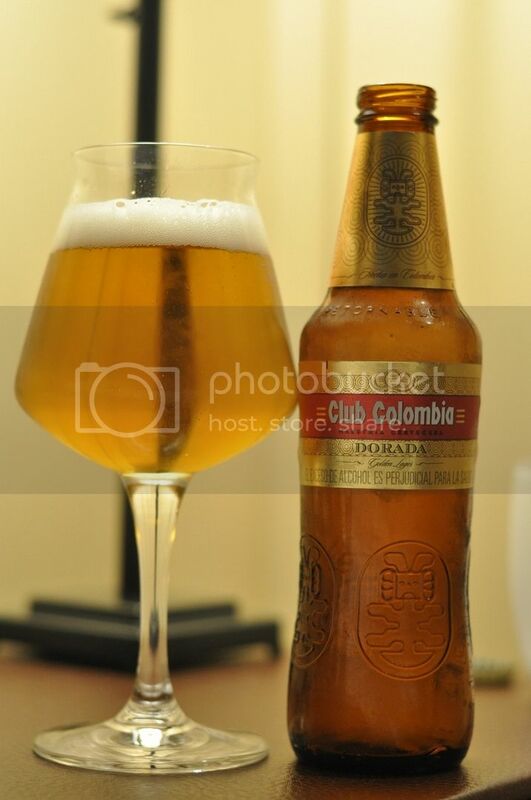 Club Colombia is a point of difference in macro lagers; there's quite a bit of flavour here. It's mostly good; the grains are not too sweet and the hops provide enough bitterness and some nice citrus flavours, particularly lemon. The bad you ask? I worked out that fruity sweetness; it was corn. It wasn't huge flavour, but it certainly was there and once I'd tasted it I was aware of it more so throughout the rest of drinking. I certainly wouldn't be rushing out to buy tickets to Colombia to drink this beer, but there are much worse options available. It's flavour was a bit different to your standard macro lager, which was welcome and Club Colombia should be commended. It's a lager that I would drink again if it became available at home, but not one I'd go actively seeking out. I think Matt, who emails me regularly, may like this one.